We offer our clients a spectrum of paste filling machines which are widely used in diverse industries which are engaged in filling substance or pastes. Our range is high in demand owing to its high end features such as trouble free performance and high functionality. 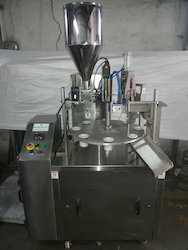 Our range of paste filling machines includes cream filling machines, ointment filling machines, automatic paste filling machine and semi automatic paste filling machines. We manufacture a vast range of automatic paste filling machines which offer exact quantity of fill and can be outfitted to a piston paste to offer different fill capacity according to the need of the client. The automatic paste filling machines manually guide containers below the paste filling nozzles and prompt paste filling process without any operator input. We offer a wide range of semi automatic paste filling machines that are manufactured from high grade raw material and are offered at market leading prices. Our range packs 100 ml to 5 ltrs on the same machine without any change parts. 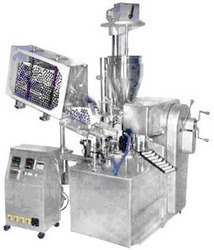 Semi automatic paste filling machines is a GMP standard machine for food and pharma products. The products which can be filled include Creams, Lotions, Pre-cooked curries, Masala Pastes and pickles. 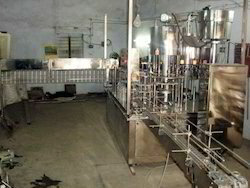 We specialize in offering superior quality cream filling machines and ointment filling machines which is made of premium quality raw material and designed to perfection. Our range of cream filling machines and ointment filling machines is the semi-automatic piston type ointment filling machine which is rational in design, small and exquisite in model, the pneumatic part adopts the pneumatic components of Germany FESTO and Taiwan Airtac. 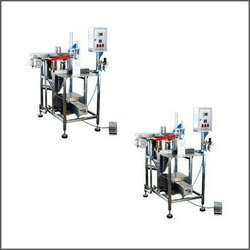 Our cream filling machines and ointment filling machines are renowned to provide hassle free performance in a cost effective manner. The part contacting materials is made of 316L stainless steel. 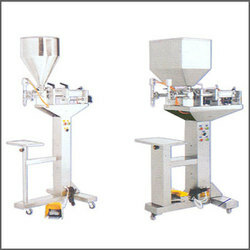 Both filling volume and filling speed can be adjusted at will, filling accuracy is high. 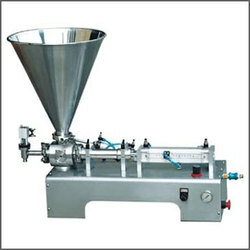 Tube Filling Machine is simple and sturdy machine for filling of cream, paste/pharmaceuticals/ cosmetic/foods paste in tubes. 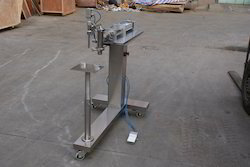 Filling, Sealing Crimping, Batch Coding and Tube ejecting is done in sequential operation on a rotary table. The machines are made in two versions- one of plastic/laminated tubes and other for aluminum tubes. Plastic laminated tubes are heat sealed whereas aluminum tubes are crimped. 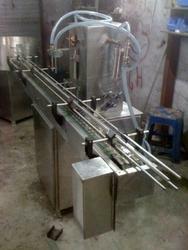 Looking for Paste Filling Machines ?